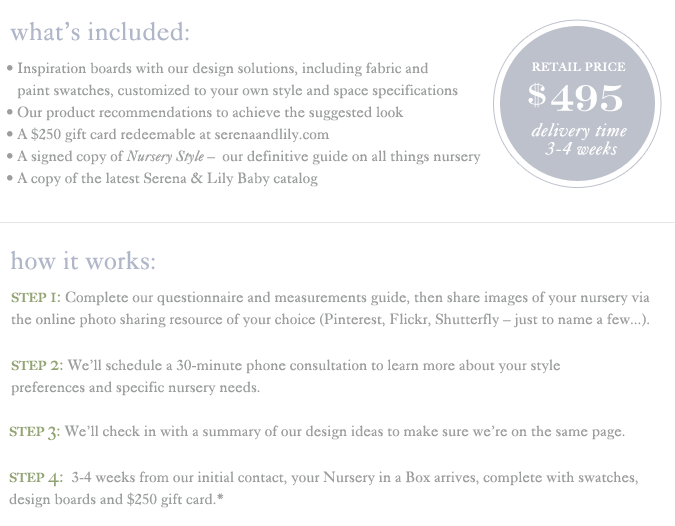 I'm glad that I'm not offering e-design or nursery-in-a-box design services at this moment because the big dogs Serena & Lily just stepped in to offer the service with a beautiful package for a reasonable price. 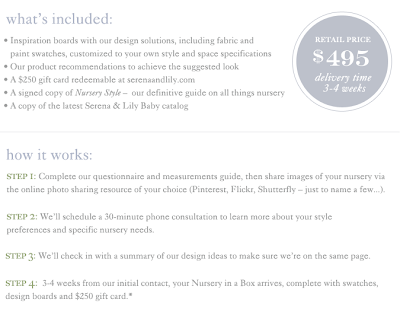 For $495 you get a personalized nursery design (using mainly Serena & Lily products), an inspiration board, a signed copy of the Nursery Style book and a guideline with a $250 gift card to Serena & Lily to purchase the items in the design. A pretty good deal if you like the look of Serena & Lily. 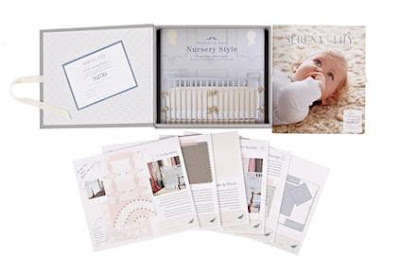 They also have their Pinterest account up and running with Baby Pinterest boards with themes such as Glam Nursery, Retro-Fun Nursery, Forever Pink and All Natural Nursery. 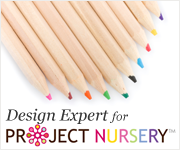 You may ask why in the world am I promoting other design services? Well since being with my kids is still my number one priority and I'm choosing to only work part time now (even though my husband argues that I'm really working more like full time hours since I work a lot at night). Therefore I can't accept all the client inquiries that I have at this moment and I like being able to offer my readers and followers other options for good design. So take a look at their new offering HERE. I didn't know this..I'll have to check it out. Thanks for sharing!